It’s not news that we’re all guilty of making very quick judgements; you may have heard that it takes only 7 seconds to decide on the characteristics of others. A study in 2016 found that it’s much less than that, and that we actually make those decisions within 0.1 seconds. Most people want to make a positive first impression, but the question a lot of people ask is how to impress the new boss. 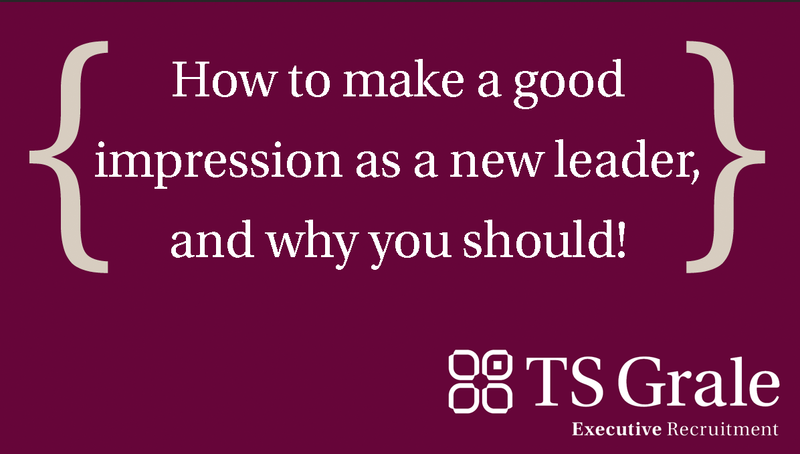 As a new senior leader, you should want to make a lasting impression on your new team, and for all the right reasons. While you want to make a great impression, you’re not there to impress; if you’re just trying to establish authority, you probably won’t command trust and you’ll appear aggressive. You need to be authentic and sincere. Don’t project a false confidence, but be energetic and enthusiastic. The workplace is not an unemotional place, and both passion and dispassion are contagious. If you want a team to engage with you, show them you are passionate about being there. A leader is only a success if they lead their team to success. That means that ultimately, your job is about the human element within the organisation; no one will achieve anything without their engagement or buy-in. When you’re taking over an established team, you’ve got a lot of work to do to build their trust in you and your vision. You need to start and cultivate relationships with your team, constantly monitor the team dynamic and continue to assess their readiness for change as you introduce changes and new ideas in a measured way. 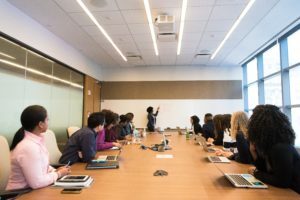 It’s not unusual for a new leader to want to start making changes to the organisation almost immediately to achieve some quick and measurable wins. Don’t fall into this trap; people are already nervous about change, and rapid change that isn’t supported by the team won’t enjoy long-term success. Making significant changes too quickly, even if your plan of action is undoubtedly the right strategic approach for the organisation, will not have the buy-in from existing employees if they’re not ready to embrace those changes and understand your vision. Even if you’ve been brought into the organisation with the overall purpose of change, remember you still need to take your time and have employees on-side, or you’ll end up making surface-level changes that won’t have a lasting impact. These people matter, so take a genuine interest in what matters to them. Learn names and where they are located. Find out what they have achieved and accomplished. Don’t limit conversation to the working environment or the task at hand; try to establish a common interest. You’re human and so are they – you’ll create a more trustworthy impression if you establish rapport beyond what’s been happening behind the desk. Foster a sense of team and camaraderie. You can make connections at a personal level without being unprofessional, so get to know more about your team and encourage them to learn more about you. As you start at an organisation, this isn’t the time to be constantly in strategy meetings with other senior leaders, or sitting behind a closed office door. Be visible and accessible. Don’t stay at your desk; move around the office and begin conversations. Let the team get used to your presence. If you want employees to be engaged (and for the organisation to be successful, you really do) then give them the opportunity to engage with you. Making yourself accessible isn’t the same thing as making yourself constantly available; you’ve only got a finite number of hours. But, communication is vital for a strong team. Make it known that your new team can communicate with you. You’re the leader. But a great leader really listens to employees. It can be easy to get carried away when we start talking passionately, but remember that employees may have things they want to get off their chest. Begin by setting the standard, immediately creating an arena in which employees feel they can be listened to, and actually heard; it will help to deepen the trust your new team will have in you. You’re there to create an environment that motivates and inspires people, so you need to understand the culture. You want employees to have an input on identifying improvements; if you’re new to the organisation, they’ll have insights available immediately that it could take you months or even years to establish. If you make them feel safe enough to share these insights with you, they will do it. Allow team members to be open to constructively criticizing practices and processes. The key to making that great impression is your sincerity. You are your words and actions. Whatever your goals are for the organisation, and however you want to change or improve strategies and processes, none of it will be successful in the long run if you don’t ensure your team is ready to embrace those changes and trust in your vision. Be positive, be patient and be part of the team, not just above it.